Surveying Cultures uniquely employs techniques rooted in survey methodology to discover cultural patterns in social science research. Examining both classical and emerging methods that are used to survey and assess differing norms among populations, the book successfully breaks new ground in the field, introducing a theory of measurement for ethnographic studies that employs the consensus-as-culture model. The book begins with a basic overview of cross-cultural measurement of sentiments and presents innovative and sophisticated analyses of measurement issues and of homogeneity among respondents. 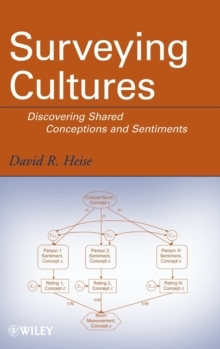 Subsequent chapters explore topics that are at the core of successful data collection and analysis in culture studies, including: The role of bipolar scales and Internet data collection in measuring sentiments Key methodological variables that determine the quality of quantitative data, including measurement errors, validity, and reliability New approaches to reliability and several new methods of assessing a respondent's degree of inculcation into group culture Sampling, coverage, nonresponse, and measurement errors, with an in-depth discussion of their occurrence in culture surveys, their impact assessments, and how current measurement techniques are constructed to help prevent these kinds of errors Common problems often encountered in the acquisition and communication of data, including identifying error variances, interpreting gender differences in responses, and defining the difference between cultures and subcultures Throughout the book, each topic is accompanied by a review of related methodological literature. 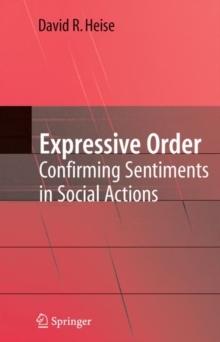 For many of the presented concepts, the author includes a formal analysis of the related issues in measuring cultural norms and reports on analyses. 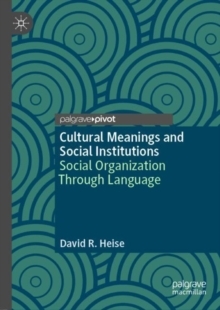 Each chapter concludes with an organized list of major findings as well as an insightful outline of specific recommendations regarding practical problems in culture studies. Surveying Cultures serves as a valuable supplemental book to courses on survey and research methods at the upper-undergraduate and graduate levels. It is also an excellent reference for researchers in the fields of sociology, anthropology, psychology, and political science.